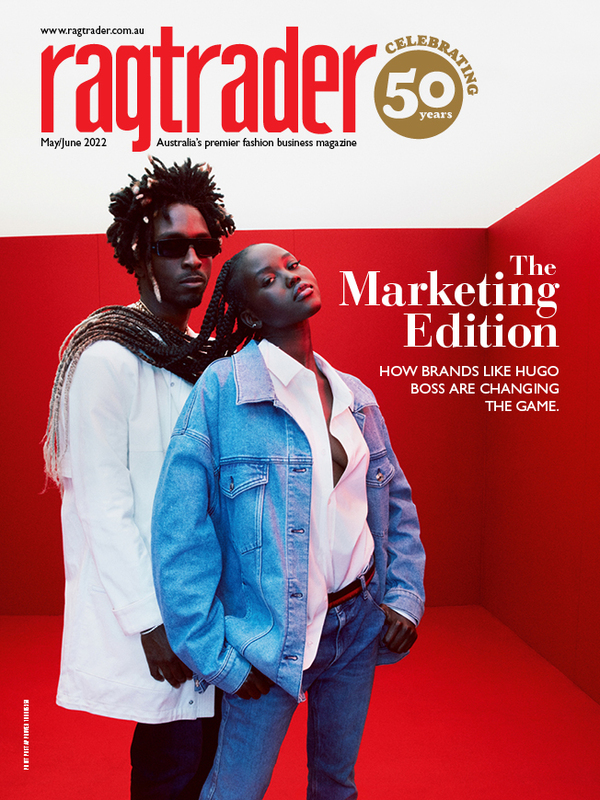 In this exclusive extract from Ragtrader's November edition, Mambo's Michael Puglisi talks fashion and sustainability. To meet the rest of the team, subscribe here. My previous experience in the industry was managing a sports merchandising retail store. I like to view my role as making sure the everything in the office is running smoothly and everyone is happy! Whether it be booking travel or managing an office relocation, the variety of my day to day certainly keeps my position fun, interesting and rewarding. What is the biggest challenge in your position? The biggest challenge I find is juggling all the aspects of the day to day and different projects to make sure they are completed efficiently and on time. The evolving and flexible nature of our workplace makes it difficult sometimes to nail it, but I do enjoy the challenge. I'm lucky in my role that my managers and colleagues share and include me in on all aspects of our business. When I can successfully contribute to the task and achieve a positive outcome, this is most rewarding for me. What is an initiative you are most proud of? As a whole, we work together really well as a unit. For me, being able to contribute by putting into place a system that streamlines communications, delivering data that is useful, relevant and improves efficiencies has been very rewarding. What do you see as the biggest change ahead for the company? The great joy of owning an a established brand is that we can take it anywhere! I’m looking forward to see how the brand delivers new and exciting products that go beyond our traditional model. What about the biggest change ahead for the fashion industry as a whole? In the world of fast fashion, I believe a positive change is coming across the board in the way products are sourced and manufactured. A more sustainable, environmentally focused approach will change the way the industry delivers its products to consumers.